Buy Melanie a Coffee. ko-fi.com/littleredwrites - Ko-fi ❤️ Where creators get paid by fans, with a 'Buy Me a Coffee' button. Thanks for checking out my profile and thinking about buying me a coffee! My name is Melanie and I’m a Brisbane-based writer, editor, and marketer who is descended from the Bigambul and Wakka Wakka people. 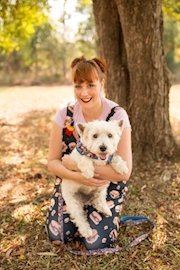 I'm currently working on finishing my masters in creative writing while tutoring, writing, and being a dog mumma to Archie the rescue Westie.